The Survivor line of iOS device cases from Griffin Technology has always been near the top of my recommended list for providing rugged protection. 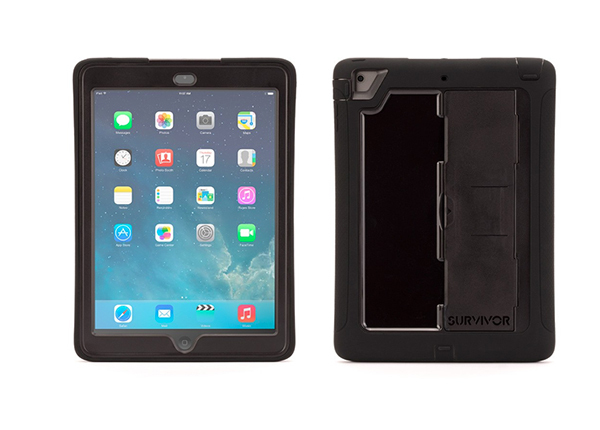 And the company has just unveiled a sleeker new member – the Survivor Slim for the iPad Air. Offering a nice amount of protection in a smaller package, the Slim also features an integrated kickstand that can provide a media viewing or typing angle. When the kickstand isn’t needed, it clicks into the back of the shell for easy carrying. The case itself is designed to protect from shocks and drops with a shatter-resistant shell ringed with silicone. Integrated button covers are designed to keep out dust, sand, and rain. A built-in screen protector can help protect the tablet from scratches. Griffin says it doesn’t hinder touch sensitivity or display quality. Currently available in black and blue/black, the Survivor Slim retails for $79.99 and can be ordered now directly from Griffin’s site. 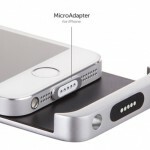 The Survivor Slim looks like a great choice for users needing rugged protection that doesn’t add a lot of bulk. I’m interested to try one out. 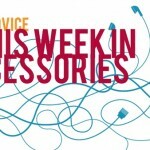 For other recent accessory news and reviews, see: Win a limited edition UE Boom speaker featuring a design by Don Pendleton, FiftyThree's Pencil stylus now works with more than just Paper, and The OtterBox Resurgence battery case review.